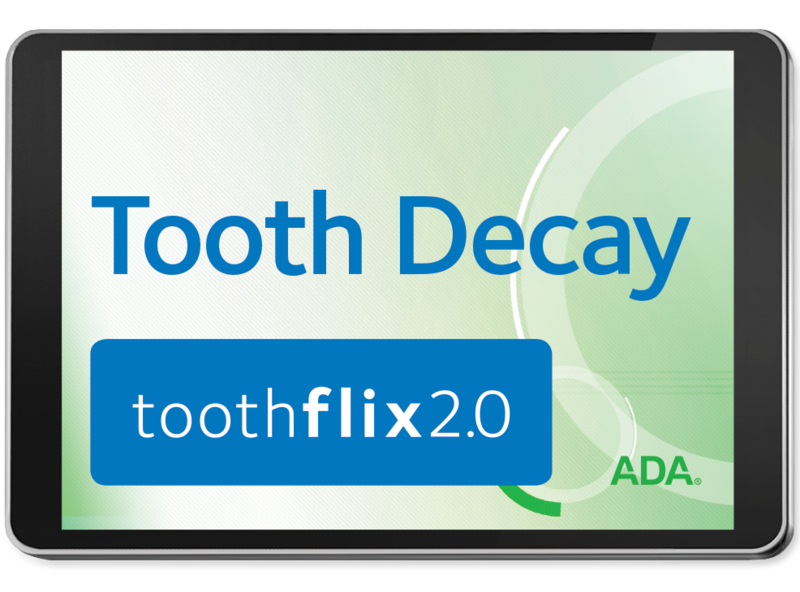 Educate your patients on the dangers of tooth decay with this dental patient education video from ADA’s Toothflix® 2.0 streaming series! Tooth Decay goes in-depth to discuss common causes of caries and decay while promoting prevention as a simpler, less-painful alternative. Best of all, this video is instantly available to stream from any web-enabled device. According to the CDC, dental caries are still the most common chronic disease affecting children from ages six to 19. While the threat of tooth decay is well-known, it’s up to dental professionals to help instill good habits in their patients. This video can be an effective tool for anyone in the industry looking to increase communication and establish necessary patient-doctor trust. Tooth Decay, in addition to all your previously purchased ADA videos, is available instantly through your online ADA e-Bookshelf. To learn more about our Toothflix 2.0 series, including a list of all 26 videos, please visit ADA.org/toothflix. Order your Tooth Decay video today!